If you ask someone what a DMD is, what answer would they give you? Do you even know what a DMD is, and how they differ from a DDS? If you have no knowledge whatsoever, fear not, we’re here to help you understand all of it. If you are currently in need of a dentist, whether it’s an emergency or not, you can use our 24/7 dentist hotline to get immediate help. Our hotline is free, offers fast service and is easy to use. If you’ve seen your dentist’s full name anywhere in his or her office, you’ve probably seen DMD follow it on any professional identification or document. DMD stands for “Doctor of Dental Medicine” or “Doctor of Medicine in Dentistry”, which is an academic degree that is awarded to those who have fully completed their training in dental programs. What Does a DMD Do? 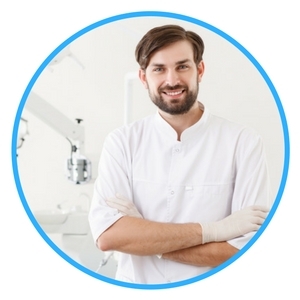 Because a DMD is what’s known as a “general dentist”, they are trained to perform preventative, cosmetic, and even restorative dental procedures. This includes something as simple as a regular cleaning of the teeth to more extensive procedures, such as veneers or dental implants. 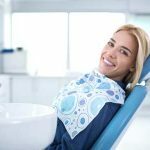 However, if your DMD is unable to perform a specific dental procedure because it’s something that is out of their expertise, you will most likely be referred to a dental specialist, instead. 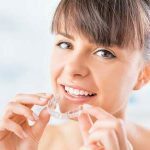 Anything that is outside of these procedures and treatments are usually outside of a general dentist’s expertise, so you will likely be referred elsewhere. How Does Someone Become a DMD? Multiple universities in the United States offer a pre-doctoral program that is completed over the span of 4 years. This program combines clinical training with academic education to ensure that students are well prepared for the field of dentistry. The DMD program gives students the intensive experience, while being a rewarding one, that the field of dentistry brings. A lot of these students are receiving their necessary training in the best facilities in the nation that simulate real situations that they will more than likely face in the future. This allows them to practice and master the skills that are going to be needed when they work in a real practice. What’s more, they also receive an education in research projects and the basic sciences that are an extremely important part of both the DMD program and real dentistry. In the end, every student in the DMD program is required to undergo the National Board Dental Examinations for the purpose of gaining their state licensing that is needed to legally practice in the field of dentistry. 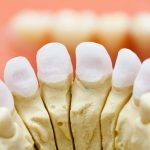 Chances are you’ve also seen the term DDS and are wondering what it is, what it has to do with dentistry, and what the differences are when compared to a DMD. In truth, DDS and DMD are the same thing! DDS is short for “Doctor of Dental Surgery”, which is different from what DMD stands for, but they are both students who have the same amount of education in the field of dentistry. While both a DMD and a DDS have the same level of education, the awarded degree that they receive after their training has completed is completely up to the university where their education took place. This may not make sense to a lot of people, especially because the same requirements for the curriculum are used each time, but that’s how it is. How Does Someone Become a Dentist? Becoming a dentist of any field or degree is quite a long haul, but it’s definitely worth it in the end. It starts with 3 to 4 years of undergraduate education, followed by an additional 4 years education at a dental school in order to graduate and become a dentist. Once the general training and education processes are completed, students then have to take the national exam, a regional and/or state clinical licensing exam, and then they’re good to go. 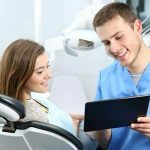 Although, if a dentist wants to keep his or her license, they will need to continuously meet educational requirements for the rest of their careers. This means that they must keep up to date with all of the latest clinical and scientific developments that relate to the field of dentistry. 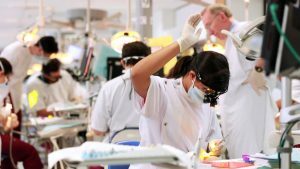 If a student wants to be something other than a general dentist, such as an orthodontist, periodontist, maxillofacial or oral surgeon, or a dental specialist, however, they will need to undergo additional post-graduate training and education further. It’s also important to know that within the United States and Puerto Rico alone, there are a total of 58 dental schools to date. 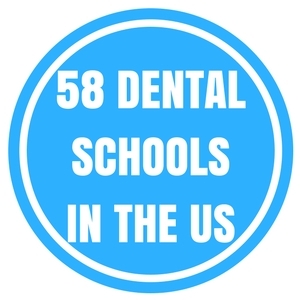 Approximately 36 of these dental schools give out DDS degrees while an estimated 22 dental schools give out DMD degrees. Now that you know what a DMD is, what a DDS is, the differences between them, and just about everything else that relates to the world and field of dentistry, understanding the documents on your dentist’s wall will be much easier! – Information straight from the ADA explaining what a DMD is and more information that proves to be very valuable for both definitions and education requirements to become a dentist.